Steve McQueen had his Mustang, Burt Reynolds his Trans Am, and Bond is back with his Aston Martin. 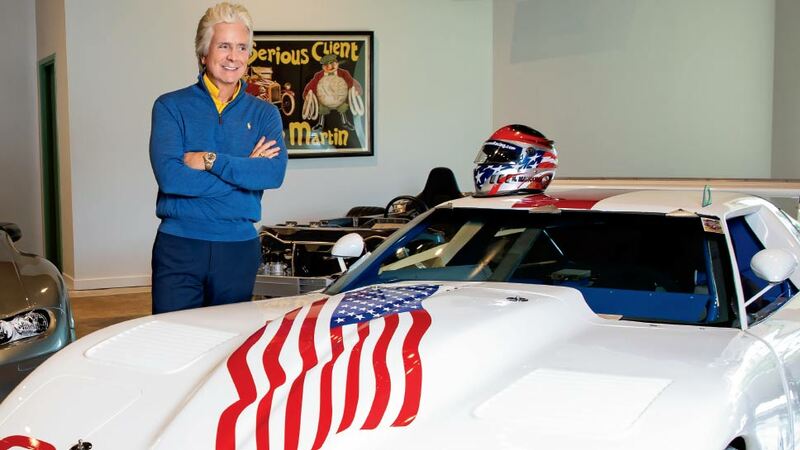 And in his own way Lake Forrest Ferrari dealer Rick Mancuso has gotten just as much mileage out of his long romance with the Chevy Corvette. In September, he was invited by the Corvette Hall of Fame to participate in the production of the induction video for legendary race car engineers and drivers, brothers John and Burt Greenwood, with whom he raced in the mid-to-late ’70s. In the video, Mancuso shares his memories of his racing days with the Greenwoods, and the depth of emotion he still feels for his friends and that time is obvious. 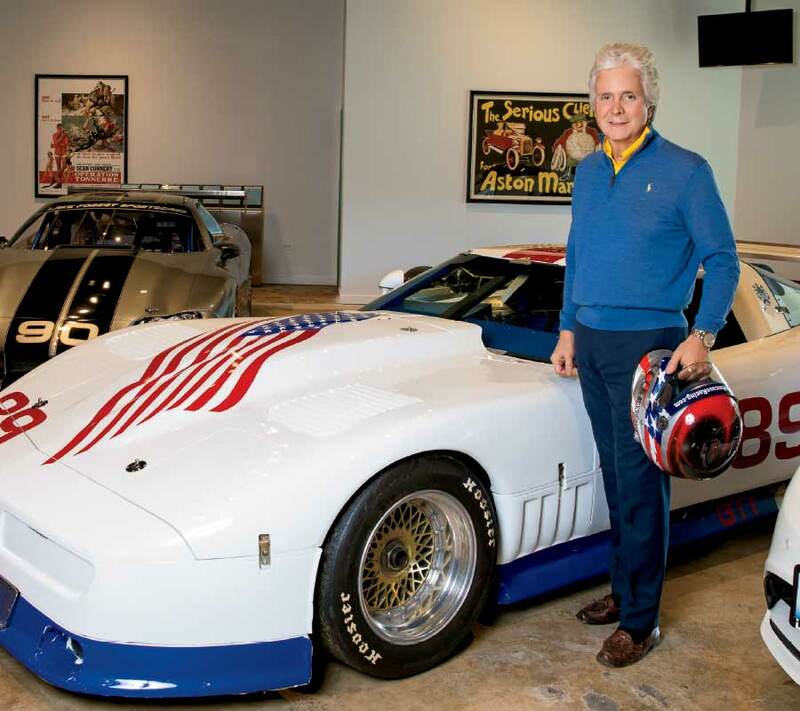 In 1976 Mancuso watched John Greenwood, in a heavily customized, star-spangled Corvette, methodically and with steely determination, beat one of the best drivers in the world at that time, Peter Gregg, at Sebring International Raceway in Sebring, Florida. The racing world is a close one, and the Greenwoods and Mancuso considered Gregg a friend. Nevertheless, he was driving a BMW, fully, publicly and lavishly supported by the German automobile maker and government, and their competition was fierce. “He had unlimited budgets, unlimited talent, unlimited practice, and everything came together,” Mancuso says. In that bicentennial year, a sea of American flags in the stands and along the fencing was common, and Mancuso remembers being approached before almost every race by World War II veterans, wishing him and the Greenwood team luck. Mancuso’s love affair with Corvettes began with watching the TV series Route 66, in which two adventurous nomads explore America. The show’s most lasting contribution to pop culture, though, was enshrining the Corvette as a symbol of speed, freedom, and cool. “As a little guy that was pretty neat stuff to watch,” Mancuso says. From there it was on to neglecting studies in grade school and drawing cars instead. Then, working with his father at the family’s Skokie Chevrolet dealership in the early 70s, to racing Corvettes, himself, in that decade. Long an aficionado and collector, Mancuso is now a documented eyewitness to racing history. And when asked which of the 60-odd Corvettes he has owned over the years he would call a favorite, Mancuso quotes Enzo Ferrari when he was asked that question about his own namesake line of cars.